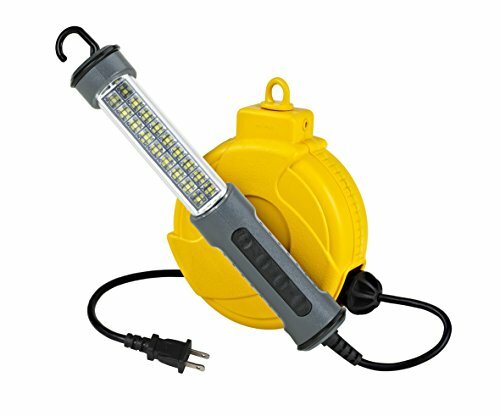 18 SMD LED 150 lumen retractable cord reel, 20Ft 18/2 SVT cord with high-impact plastic reel housing and on-off switch built into handle, swivel hanging hook, top and bottom protective bumpers. Cetlus listed. If you have any questions about this product by Alert Stamping, contact us by completing and submitting the form below. If you are looking for a specif part number, please include it with your message.